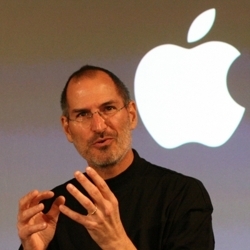 Steve Jobs – The world is poorer without you. We’ve known Steve Jobs, CEO of Apple, has been ill for some time, but I am still shocked at such an early departure so soon after stepping down from Apple. Maybe, just maybe, his time there was what kept him going. I read a post on Richard Bransons blog, quoting an advert Steve made back in 1997. “Heres to the crazy ones. The misfits. The Rebels. The troublemakers. The round pegs in square holes. The ones who see things differently…. They are not fond of the status quo. This sort of sums things up for me. Without Steve, and Apple, we wouldn’t have the Mouse, the GUI, the essence of computing today. It doesn’t matter he didn’t come up with the original idea, he was the one that pushed it, drove it forward. And more recently, we wouldn’t have the smart phone, the concept of touch screens, the iPhone, which effectively started the revolution, and which has been emulated by so many. None of that without Steve to drive it forward. And besides the technology, Steve has been a beacon to inventors, and early adopters, entrepeneurs and designers, the inspriation to college students and businesses alike. The idea of the family, both at home and at work. Apple has changed its home page to be nothing but a picture of Steve. That speaks volumes. Couldn’t help having a tear in my eye and a lump in my throat when I heard this morning. My thoughts are extended to his family. Finally you can rest now Steve. Thank you.